Remind yourself how to arrange delivery of oxygen cylinders to your respiratory patients with the MIMS guide to ordering home oxygen supplies. Quick notes on the procedure and a link to download the order form are provided. Regional suppliers (Air Liquide, Air Products Medical, BOC Healthcare and Dolby Vivisol) are listed by area, with telephone and fax numbers. 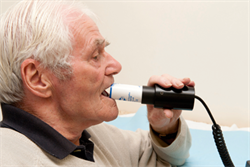 The home oxygen service covers England and Wales and includes ordering of emergency oxygen therapy, short-burst oxygen therapy, long-term oxygen therapy and ambulatory oxygen therapy.